Gazpacho Provençal, gingerbread ice cream and crispy cured ham; thyme-infused Bavarian goats cheese and sweet pepper coulis; pastille lamb shank and aubergine caviar; Provençal apricot gratin, fresh roasted almonds and thyme sorbet. Wonderful, innovative recipes inspired by traditional and seasonal cuisine. 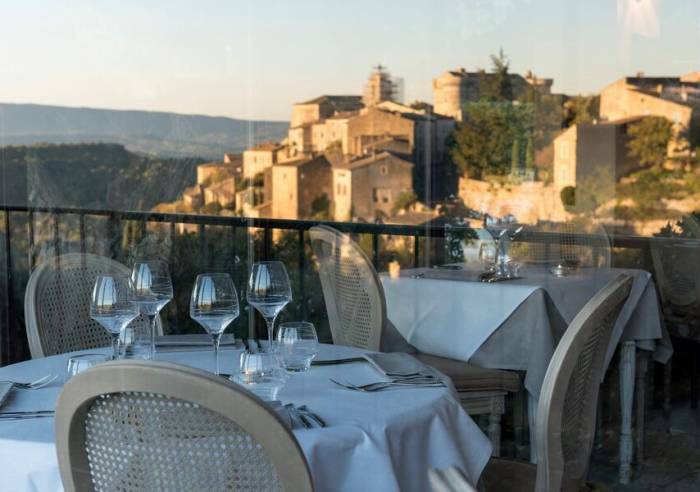 The talented chef will introduce you to a cuisine based around fresh, local products, promoting country flavours that will delight your taste buds. 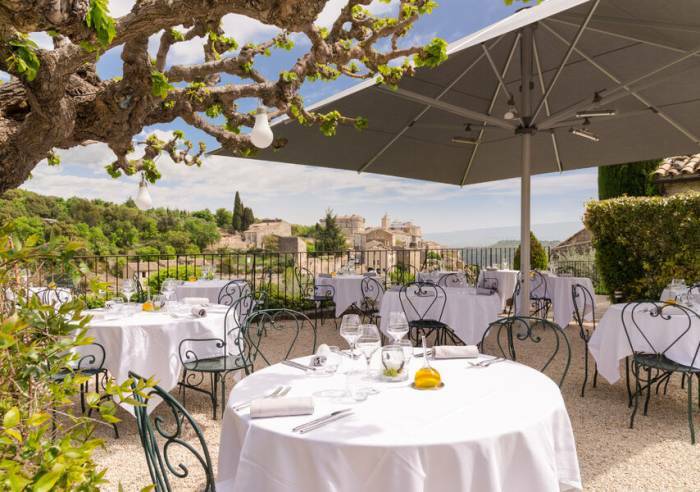 If you’re looking for a gourmet treat, the Mas des Romarins is fast becoming the go-to place in the picturesque village of Gordes. Weekly closure, Sunday and Monday. June to September, closed Monday only. 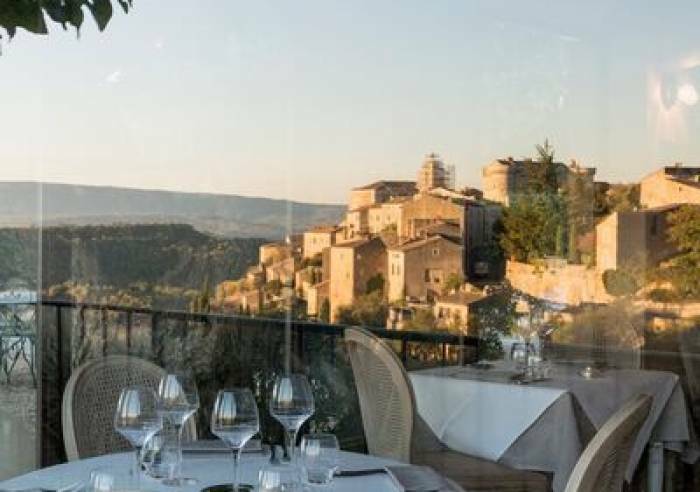 , Terrace, Toilets, Air conditioned restaurant, Car park, Garden, Swimming pool, Coach parking, Heated terrace, Shady terrace, Pets welcome, Wi-fi, Restaurant, Buffet meal. Adult menu: 25 to 65 €.